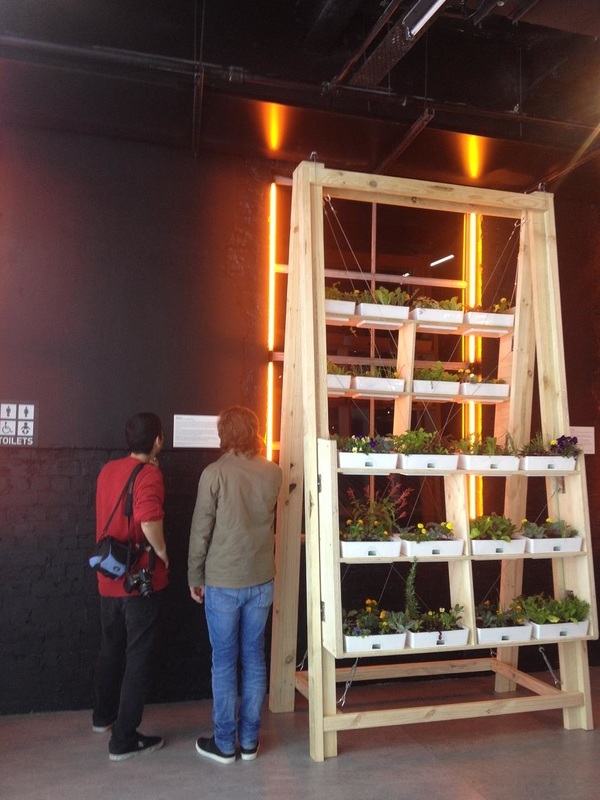 I worked in a team of four industrial design students to design and construct a vertical garden to feature as an installation at the Powerhouse Museum as part of Sydney Design Week 2013, representing the University of Technology, Sydney. 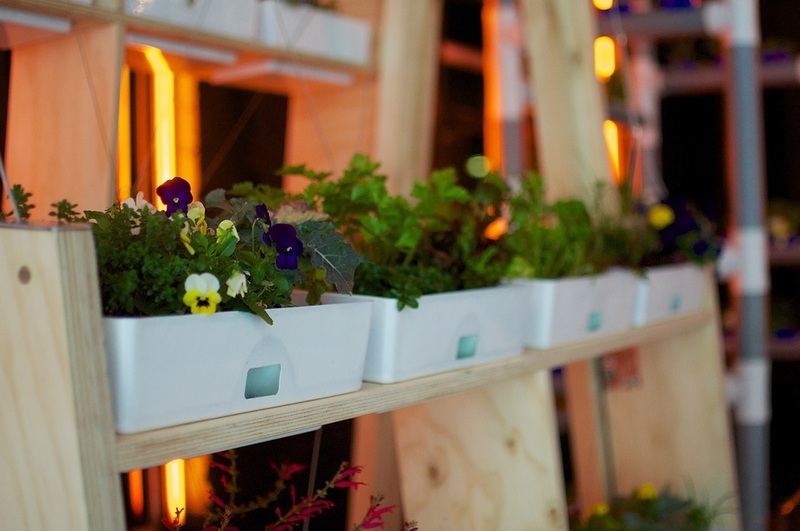 The design featured 24 vacuum formed self watering trays which sat on two plywood counterweighted shelving units, which could slide up or down the legs of the 2.2m vertical track. The mechanism allowed easy access to all shelves, and ensured sufficient sunlight could reach all the plants. 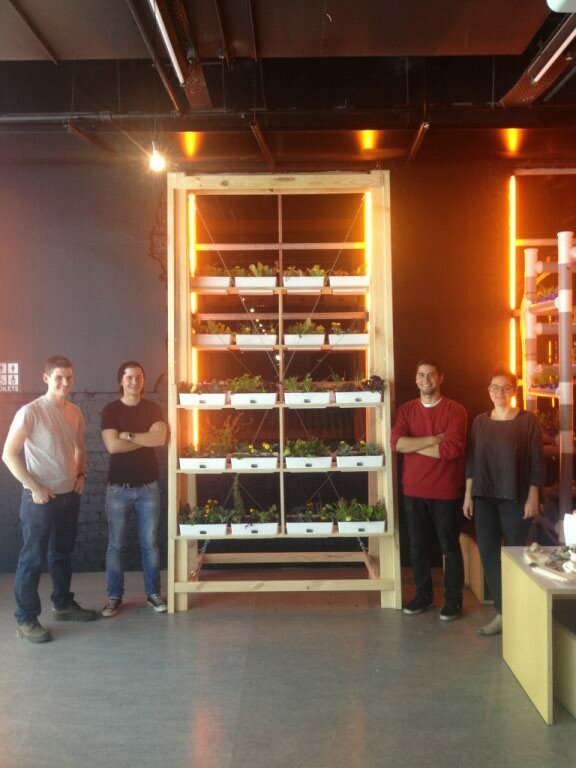 All of the plants are spaced to achieve ample sunlight throughout the day, and the vertical arrangement makes use of the confined space, whilst maintaining a small footprint. Since the pots are all accessible and removable, planting is easy to handle. The pots could then arranged together for example in groups of herbs, flowers or lettuces, by variety or by water consumption. Watering during the day is made easy via a slot in the middle of the pot. The water level can be monitored and topped up since the top shelf sits at the eye level of a short person. Once the plants have grown to maturity, they can be simply be harvested fresh. My role as the most experienced student in the group, was to guide the direction and pace of the project. I was heavily involved in the design and construction, and was often a leader when problem solving. I also offered the group foresight into considering how we eventually would transport and install the structure easily. The project took place over two months on a tight budget. It required many meetings with the exhibition co-ordinators, and was eventually featured on local radio and the powerhouse museum website.